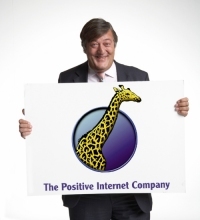 This blog has been a long term critic of the Society of Homeopaths, and other British Homeopathic organisations, who support their members who practice homeopathy in Africa on people with life threatening conditions such as malaria, HIV and TB. Indeed, the Society of Homeopaths threatened to sue me and my web hosts for pointing out that the Society did nothing to stop these dangerous practices, despite their Code of Ethics suggesting they should and despite the fact that treating people with homeopathic sugar pills could kill them if it interfered with real medical attention. The subject has received its fair share of media attention too, with BBC Newsnight performing ‘secret camera’ investigations into UK homeopaths who give travellers sugar pills instead of malaria tablets when travelling to Africa. The BBC also found Neal’s Yard Remedies offering similar lethal advice. The Independent, working with the Kenyan Standard newspaper and the Bureau of Investigative Journalism, found UK funded homeopathy groups telling people with HIV they will not need ARV drugs if they take homeopathy – an opinion that would kill if believed. I was therefore amazed today to see Dutch Skeptic Pepijn van Erp tweeting to me today that London restaurant and deli chain Ottolenghi was ‘proud’ to be supporting the ‘charity’ Homeopathy for Health in Africa. Ottolenghi has made something of a name for itself for its original take on Middle Eastern and Mediterranean food and has a small chain of deli’s and restaurants in fashionable parts of London. Homeopathy for Health in Africa is run by Jeremy Sherr – a man revered in homeopathy circles and with strong views about the potential for homeopathy. He is famous, among other things, for his homeopathic ‘proving’ of helium. He claims to run a “bbusy practices in London, Tel Aviv, and New York”. Sherr wants to show the world that homeopathy is the key to treating AIDS in Africa. He appears to already believe this. In his promotional videos for his clinic, he has local musicians telling people that “Homeopathy is the only medicine that God wants.” Sherr has been planning ethically appalling trials to test his ideas on local people with HIV. One of the other members of the charity team is Noam Bar. He is a homeopath who works at the Ainsworths Homeopathic Pharmacy in London (you know, the people that provide homeopathic twiglets, tyrannosaurus rex and parrot droppings). On his practice website, he tends to be a tiny bit more circumspect than Sherr. He says that he has seen homeopathy in Africa treat people with HIV and that it may “help patients who have not reached the threshold of needing antiretroviral treatment”. He admits that homeopathy “CANNOT REPLACE ANTI-RETROVIRALS IF YOU NEED THEM”. The patients in Botswana have no knowledge about homeopathy, and are very rarely interested in learning more. All they need to know is that the homeopaths have helped a neighbour or a relative and, personal recommendation being the way of life in Africa, they come full of confidence that they’ll be healed. For the people visiting the clinic, we are doctors. A bit weird for doctors – no white coats, no nurses, the clinic is sometimes a bit of shade and a couple of plastic chairs, and the pills are small and few – but they seem to trust us more than the doctors in the hospital, who never seem to have time to listen. These are words that ought to be horrific to anyone who understands homeopathic pills are just plain sugar and that people with deadly diseases are being treated. The explanations for Ottolenghi’s support for this charity are not hard to see. Yotam Ottolenghi set up the business with Noam Bar and a few other friends. 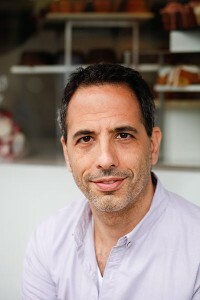 According to the New Yorker, Ottolenghi and Bar fell in love at Tel Aviv University and then moved to Amsterdam together where the their love of cooking took off. So, it would appear that Ottolenghi’s support for this deeply misguided and dangerous charity is deep and unlikely to be open to persuasion that it is a bad idea. There would appear to be little reason to go to the trouble of explaining to them why telling people in Africa that they can treat serious diseases with magic sugar pills is a very irresponsible thing to do. I may have to buy my hummus elsewhere and choose different books for birthday presents. Homeopaths Find The Solution – Hire PR Consultants. It would be much more effective to just put a drop of homeopathic medicine into the sources of the Congo, Nile, and other major rivers, let nature do the dilution, and cure the whole continent at once, wouldn’t it? Africa has their own traditional quack medicines; we don’t need to be selling them our placebos too. Treatment for AIDS are not available everywhere in African countries (expensive too) and, in the last decade, national policy -when there is one- has been to leave traditional doctors dealing with the symptoms of the disease. Not homeopaths, but “kind of”. Question: when you are out of reach of Health Center, treatment, and object of social discrimination, what do you do? Lack of access to treatment for HIV does not justify providing pretend treatment, such as homeopathy. This simply provides false hope. Furthermore , in areas where real treatment (eg antiretrovirals) is available, providing homeopathy is an unnnecessary distraction which may encourage unwitting patients to eschew science based therapy with deadly consequences. It seems like they removed the page on charities. But have they stopped the support as well? Sugar pills for HIV, sounds like lame. Lucozade would be more effective. Presumably in Africa the patients are not paying for the sugar pills? So then, what’s in it for the homeopaths? Are they wanting governments monies? Are they wanting fame? Or do they think this “work” gives them some kudos with their customers in the developed world?